I need your help to get the word out! Thank you so much for your help with spreading the word about After the Speech. I am humbled by the fact that this book has been able to help so many people already and am extremely thankful that you are willing to help promote it so it can impact even more lives! This page is your resource for getting the word out about After the Speech and contains everything you need to get started. If you have any questions, thoughts, or suggestions please feel free to contact me! This helps me so much! Special thanks! Click here for more tweet and post ideas! "Have you heard about After the Speech ,When Teens Get Real by Harriet Turk?" You should totally check it out today! If you are interested in featuring After the Speech or a guest post from me on your blog or publication. Contact me to get started. Please feel free to send an email blast to your network! All I ask is to get copied as well. If you have any questions please contact me. 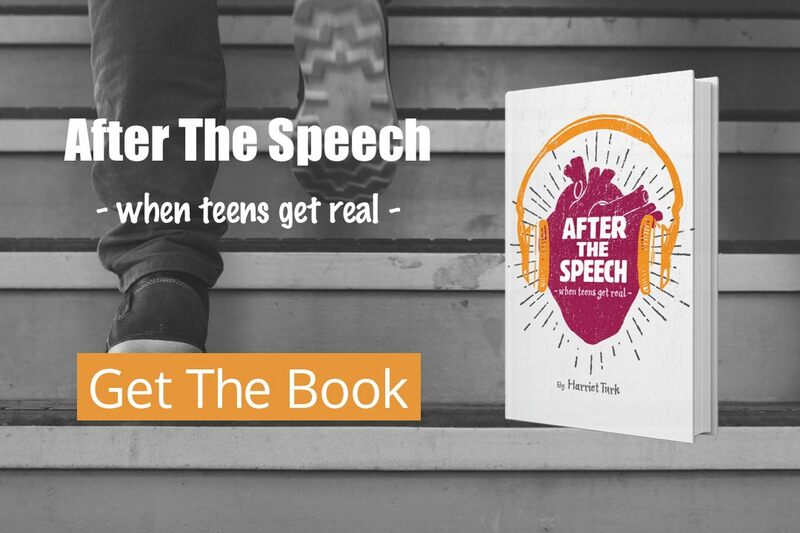 If you are a parent, a youth group leader, or a teacher who is searching for a way to understand what your teens are experiencing in their daily lives, read After the Speech, When Teens Get Real. This collection of true stories is both entertaining and poignant, and also provides real world, practical advice. Learn more at www.transparenthearts.com. Harriet Turk has just released, After the Speech, When Teens Get Real, an entertaining and poignant collection of true stories from young people who have reached out to her after her speaking engagements. Perfect for teens or adults! Learn more at www.transparenthearts.com. 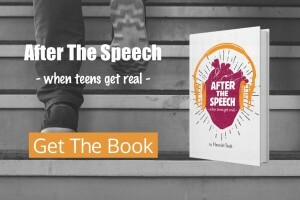 After 24 years of presenting at high schools assemblies, youth conferences, and leadership retreats, Harriet Turk has just released her first book, After the Speech, When Teens Get Real. A collection of true stories from teens who have reached out to her after her speaking engagements. Get the book at www.transparenthearts.com.